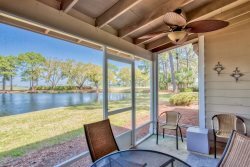 Located inside the Majestic Sun at Seascape Resort in Destin across from Miramar Beach. View of Miramar Beach from Destin Vacation Condo balcony at Majestic Sun Swimming pool at Majestic Sun at Seascape Resort. Wonderful Swimming pool at Majestic Sun. Enjoy Stewart Lake with boardwalk. Beautiful Gulf Views! Easy Beach Access! Great Fun & Relaxation! You'll enjoy staying at the Majestic Sun in the Seascape Resort located in the epicenter of Miramar Beach. This beachfront vacation condo is located off of Old Scenic Hwy. 98 with convenient beach access and stunning panoramic views of the Emerald Coast. A traditionally decorated 1-bedroom/2-bath vacation condo offers comfort and amenities that will have you returning year after year. Enjoy the bunk bed inset off hallway and queen sofa sleeper in living room for those extra guests. The fully equipped kitchen with coordinated appliances offers you the comforts of home and the spacious balcony, to relax and take in the breathtaking views, is part of this condo's appeal with large windows and sliding doors. The open floor plan makes the space feel welcoming and fun for entertaining. When you are ready, head across the street to the sugar-white sandy beaches and the relaxing sounds of the coastline while you reset your inner vacation clock to “beach time”. Be sure to bring a good book, swimsuit and maybe even a beach ball, just to make new friends along the beach. All you could ask for to make your vacation memorable and relaxing is right there at the Majestic Sun. Being located a couple minutes from the Seascape Towne Centre, where you have a choice of local restaurants, activities including Lazer Tag for the family memories can be made! The area offers a wide variety of national cuisines, tons of shopping, world famous golf and the world famous Whale's Tail Beach Bar & Grill. Discover all the nearby shopping including Silver Sands Premium Outlets, Grand Boulevard at Sandestin, and tons of great local shops and restaurants in the area from Sandestin to 30A. Amenities include a full-scale fitness facility, golf course, heated community pool, hot tub and tennis courts. There is even a beach side grill for those days when you just can’t get out of that beach chair. My family and I enjoyed our stay. The view was breathtaking! Beautiful place and right across from the beach! The view was spectacular! The condo is large can easily accommodate six adults. The kitchen is well furnished with quality tools. The living area has a sofa and three comfortable chairs. There is a view of the ocean and sunset from the terrace. Great place with amazing view. The condo was very clean and comfortable. Loved our stay!! Everyone was super friendly ! Condo was perfect.!! Definitely will come back! The pictures of the condo didn't do it justice. It was perfect. It was clean, had an amazing view. The beach was right across the street and the water was clear as a bell. Only complaint is that we had to leave. Thank you for an amazing week. This unit is gorgeous, perfectly situated over looking the gulf. Communication with the host was seamless. Terrific stay. This is our first time using Russell vacation rentals! Beautiful condo unit. nice community! everything is perfect! Will definitely recommend. Thank you so much. We had a great time. The space had an amazing view and was very clean. Russell Vacation staff were very responsive with all questions and communications. The bunk beds were comfortable and so was the bed. Would definitely stay here again without hesitation. It was very clean and comfortable. Our 2 children loved sleeping in the bunk beds. It's also a great location because it's right across the street from the beach. We are hoping to stay here again for our next trip to Destin. It was the perfect place for my wife and 7-year-old daughter. They loved it so much, we ended up booking an extra day in the middle of our stay. This place would be perfectly comfortable for a family of 5 or even 6. We were on the 10th floor and the view every morning we woke up was magnificent. My wife could even spot dolphins from the kitchen while making breakfast. Even with the cooler weather we had this Spring Break week, we were able to enjoy the ocean which is conveniently right across the street from this beautiful place. We had a heated pool that was half inside and the other half outside. My daughter and I used it every evening. Another great reason to book this place is the gym access, nothing like a workout before hitting the beach. Thank you guys for your hospitality and wonderful Spring Break trip. Cindy, thank you so much for providing a wonderful place for our Spring Break trip. My 7 year old will never forget the great time she had in Destin. The condo was beautiful and located just across the street from the beach! It was very close to other popular places in Destin such as the outlets and restaurants. We would definitely stay again! Breathtaking, amazing, and relaxing! The patio view is one of a kind,right next to the beach. Open the patio door and you are in paradise! The neighbor's were friendly and the atmosphere is welcoming. This was our first time to Destin and most definitely recommend Russell Vacation Rentals for anyone who wants to get away! My wife and I stayed here for our one year anniversary. It has a great view and just right across the road for the beach! We definitely recommend staying here and wouldn't hesitate to come back! Majestic Sun was great, and the unit was nice and clean - perfect size for myself, my wife, and our 6 year old (who loved the bunk beds). Beautiful view of the beach from the 10th floor, nice gift shop in the building, indoor and outdoor pools were great to have an option to swim in the shade, hot tub was good, and being right across the street from the beach and umbrella/chair service was very convenient. Beach and water were perfect - nice and clear gulf. Also, having Whale's Tail in walking distance was perfect (we love that place - good good, drinks, and their waitress will take orders from the umbrellas right in front of Majestic Sun). We will definitely stay here again.